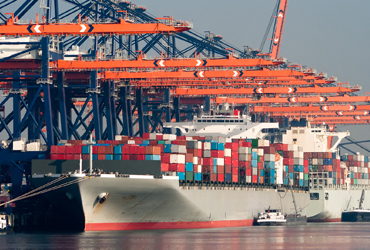 Murex Shipping & Trading (Offshore) S.A.L is a joint stock (offshore) company, established recently in Sidon-Lebanon. 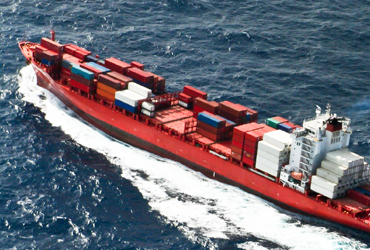 Murex Shipping & Trading has been founded with the aim of providing integrated premium maritime services as ship-managers, operators, charters and brokers. Murex Shipping & Trading is headquartered in Sidon, a center point which enables it to cover the Mediterranean, Black Sea, Red Sea and the Arab Gulf trades. Being aware of the significance of establishing good communication and connections to provide better services, we maintain good professional relations and cooperation with major trading, manufacturing, and ship-owning companies in this area. Our doctrine for marketing is meeting and then going beyond our clients’ expectations by providing them with the top quality services and facilities available under roof. Offering professional, reliable, consistent, innovative and competitive services to our clients, customers and vessel owners, among others, is our major business focus throughout the activities and movements in the region. We emphasize maintaining high standards of ethics, credibility, integrity and transparency in our day to day work. Murex Shipping & Trading (Offshore) S.A.L has set a steady growth plan with the goal of investing in Dry Bulk, General Cargo, Livestock, MPP, RORO and Tanker vessels. We plan to remain focused on accruing a major share of regional cargo movements through a salient presence in industrial shipping, project cargoes and general cargo. Our plan includes sustaining a balanced growth through broadening our ties with major charters trading and manufacturing distribution companies, government bodies and principals. Murex Ship Management with its head office in Lebanon represents a new era of ship management with style, finesse and expertise which stands over and above the rest in the international ship management arena. Our competitive operations and brokerage activities are focused on negotiating and concluding fixtures for cargoes and vessels entrusted to us by the clients and principals. Our Ship Sale and purchase team are highly specialized shipbrokers, whose clients and customers tend to be ship-owners and who act as important middlemen in the business of butting and selling ships. Murex Ship Management with its head office in Lebanon represents a new era of ship management with style, finesse and expertise which stands over and above the rest in the international ship management arena. We provide a very specialized and customized ship management services which is the present day requirements of the 21st century ship owners.